NEW MILFORD — A crucial piece of funding to modernize the library has been secured with the recent awarding of a $1 million state grant. News of the award comes just weeks after residents approved $6.5 million for the project, which will be the first time the building has been renovated since the late 1970s. The library Board of Trustees also committed $1 million for the work. “We should have complete funding,” said library director Sally Tornow. The entire project is expected to cost $8.5 million. 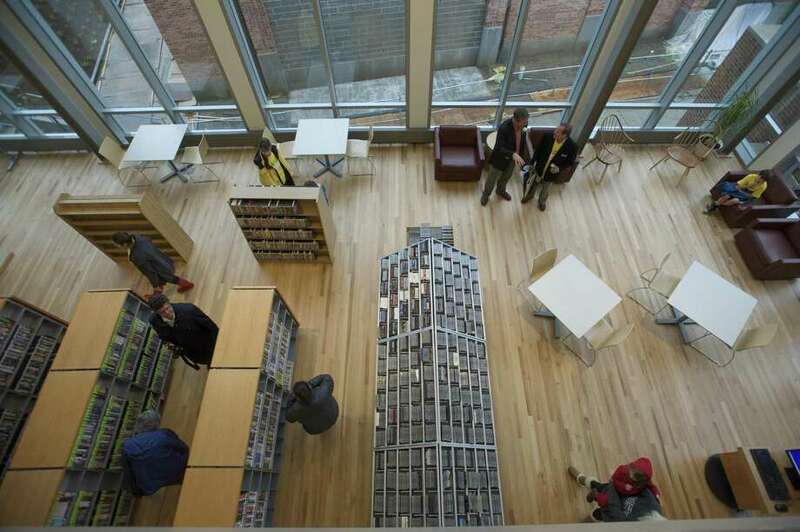 Library officials suspected they had a good chance of receiving a Connecticut State Library Board grant because only one other library in the state was renovated since New Milford’s last project. They were unsure, though, if they would get the maximum $1 million amount. “It was really wonderful to be awarded the full amount because it’s not guaranteed if you ask for it,” Tornow said. New Milford was one of 10 libraries to receive construction grants from the Connecticut State Library Board, which totaled nearly $3.7 million. Danbury Library received a $100,000 grant that will help renovate its junior floor’s rows of bookcases and build out a formal room for its Story Corner with new audio, visual and technology upgrades to support children’s programs. The city will foot the rest of the $200,000 bill. The plan also will add a new sensory space — one of the first in the state — to provide a therapeutic area with certain objects and activities designed to stimulate children with special needs. Ridgefield Library also received $40,400 for remodeling. Tornow said the next step will be for the State Bond Commission to approve the grants. At that time, library officials will have to show they are able to cover the town’s share of the projects, which New Milford did with approval at the Nov. 6 referendum. New Milford will also have to work with the state’s historic preservation office because two of the buildings are older than 50 years. Tornow doesn’t suspect there will be a problem because the project is not expanding the footprint and the bulk of the work will be done on the middle building, which was built less than 50 years ago. The work would expand the library from 15,000 to 22,000 square feet. It would add a new facade and entrance to the 1977 addition, to help it fit better into the downtown aesthetic. It also makes the library compliant with the Americans with Disabilities Act and add meeting space. The remodel includes using existing space, as well as constructing new space, adding a second floor with an outdoor terrace to the existing 1977 addition. Under the plans, the children’s library would move to the 1977 section and the Goodwin House, freeing up the old library for an adult reading room. The children’s section would share a program room with the young adult section, which doesn’t have its own space at the library now.